Power Grid | BSRIA Blog - Opinions and insights from BSRIA Limited. Did you hear about the crisis that hit the UK on 4th November, causing massive disruption, and provoking outcry in industry, and suddenly sent energy rocketing back up the UK’s political agenda? You probably didn’t hear this, because the first major threat to the UK’s national grid this winter still left it with a princely 2% spare capacity, sufficient for the National Grid to issue a “notification of inadequate system margin” (NISM), but insufficient to actually disrupt the service. While this was only the first stage of alert, and while an abnormal lack of wind was an aggravating factor – bringing the UK’s now significant wind generation capacity almost to a halt, one of the mildest starts to November on record may have helped to save the day. As so often in human affairs, a “near miss” is treated as a near non-event. A single “hit” on the other hand could have major repercussions, prompting much more urgent action not just on the resilience of the UK’s national grid, but on how buildings respond to peaks and troughs in energy demand. BSRIA has been reporting and analysing on Building Energy Management and the issues around it for a number of years now. One of the trends that we have noticed is that over time, more suppliers of building energy management solutions include some form of Demand Response as part of their solution. This enables a temporary reduction in the power drawn by certain services in the building where this does not impact on productivity or well-being. Our latest review of the global leaders in Building Energy Management showed that almost half now offer demand response, the highest figure that we have seen to date. This includes both the global leaders in Building Automation and Energy Management and suppliers specialising in energy management. At the same time, energy storage is being taken more serious as a viable and cost-effective way of providing additional resilience and peak capacity, both for energy suppliers and in some cases for consumers. While the UK is still some way from having a thriving market in home energy storage systems comparable to that developing in Germany (where residential electricity is significantly more expensive), it seems quite likely that any significant grid outages will give a boost to the market for battery storage for both residential and non-residential use. It is still quite hard to judge how probable a major power outage is in the UK this winter. There are already further processes for demand reduction which can be invoked if the situation gets tighter than it did on November 4th. However a coincidence of severe cold with a lack of wind, and unplanned outages at power stations is not inconceivable. And the major strategic initiatives, such as the construction of two new nuclear power plants, will take years to come online. The UK has got used to ‘living dangerously, and so far has got away with it. But the sensible response to a lucky escape is to learn the lessons, and not to assume that your luck will go on holding indefinitely. The very least we can say is that all organisations should be looking at the potential implications of even a short interruption to power supplies, and how they can best mitigate these. BSRIA and ECA working together in order to keep the lights on! Ofgem has sounded serious warning bells about UK’s generating margin falling from about 14% to sub 4% levels around 2016. Ed Milliband’s statement of a Labour Government freezing energy bills could hardly come at a worse moment and could in fact result in a greater likelihood of brown or blackouts. View event details and book on-line. Major investment is needed in the electricity network and the new wave of nuclear power stations recently announced will not come online until at least 2020. The debate over alternative fuels like shale gas still needs to be had, to assess its suitability and impact on the future of UK energy. And whilst standby generation may seem an easy option and undoubtedly this will form part of the solution, it also needs to be highlighted that it cannot necessarily be relied on as a last-minute solution, for when the crunch comes, fuel will be in high demand and availability will plummet. So where does that leave the rest of us? There are few benefits to a power outage; the only redeeming effects being an increase in self-reliance and a chance for the standby power industry to shine. The risks to business is high, even more so due to the current lack of awareness and most may well have no contingency plan to keep their businesses running. Companies face disruption through possible loss of process and equipment failure. 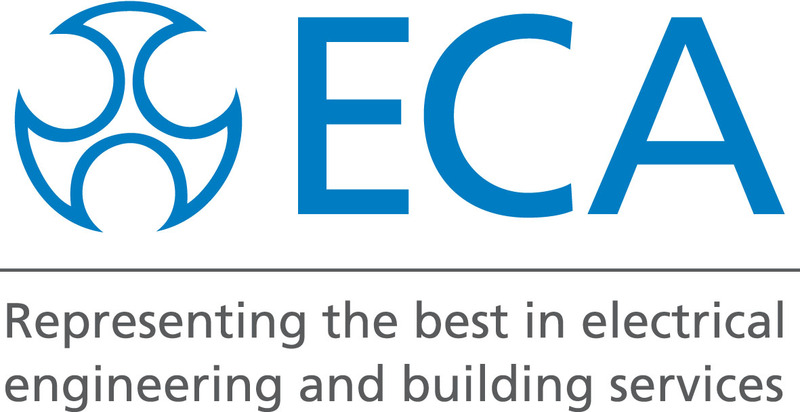 BSRIA is pleased to be working alongside the Electrical Contractors Association (ECA). Our forthcoming event at Central Hall in London looks at the scale of the problem of reduced electricity supply capacity at peak times in the coming years. We look to identify solutions that can be adopted in order to reduce the risk to the core business and also the support needed for building owner operators, facilities mangers, contractors and service providers to allow them to provide the maximum provision during challenging times. This event is free to BSRIA and ECA members, but also open to a wider audience. ECA members are able to book free by emailing their free payment code to events@bsria.co.uk. November 2013 saw another brilliant BSRIA Briefing held as always at the fantastic Brewery in London. The event was chaired by John Tebbit, Industry Affairs Director at the Construction Products Association with c400 industry professionals in attendance. The speakers this year were focusing on customer satisfaction, data centre trends, changes in building practice and design decisions, smart technology leading the industry forward and the internet of things. Chairman John highlighted two key issues facing the industry, the Construction 2025 strategy and the move towards Low Carbon as well as the construction industry being the last industry to go digital despite a demand to do so. Bukky Bird talked about Tesco as a continuously changing organisation by highlighting some of the company’s historical milestones. From Tesco’s founder Jack Cohen opening a market stall in 1919 to becoming a global company with just over half a million colleagues today. Bukky also highlighted some current customer expectations and key drivers for this such as the current economic context. She emphasised the need for organisations to understand and respond to changing needs and environments. “A green agenda is a prerequisite of what customers expect from a brand like Tesco”, Bukky Bird, TescoToday’s customer is under pressure, struggling with rising costs and dealing with lifestyle changes. The focus is therefore on family and the home, with a real expectation that brands should reduce waste and save money. Responding quickly to these needs is critical for retailers like Tesco and this should therefore drive the focus through the industry supply chain. A challenge facing our industry is how to develop true partnerships to tackle these problems. Bukky highlighted the need for flexibility, agility and the need for the industry to be willing to change. The customer is changing radically and the building industry needs to be ahead of this curve. Historically we have been very slow to adapt, and this is an opportunity to buck that trend. Her final point was that the industry are not supplying Tesco, but Tesco’s customers – understanding the customer’s needs and developing innovative solutions to meet these is key to successful partnerships. Nicola Hayes looked at a rather different sector focusing on data centre trends and energy. Datacentres Nicola argued are the buildings you do not see, the hidden side of the industry and yet becoming a central part of several industries as people relocate their data to the Cloud. Nicola discussed the fact that Datacentres may be hidden but they do suffer negative publicity mostly due to the energy usage of such buildings and the accusation from the Press that they are singlehandedly destroying the planet. When viewing the industry as a country, the industry uses a little less energy than the UK as a whole, marked at 332.9TWh which is an exceptional amount and understandably a worry for the industry and a target from the Press. But it was the trends that Nicola was concentrating on, where the Datacentre industry has come from and the expectations of it for the future. In three years the industry has grown from $86bn to a staggering $120bn as well a doubling in space used for the buildings, growing from 15million sqm to 31million sqm. The growth of Datacentres is down to several other key industries, the rate of increase has risen for Professional Services, Energy & Utilities, Industrial & Process and Media & Telecoms. With this growth there has been a change in how Datacentres are being built and their operations. There has been a 15% increase in outsourcing for the industry since 2007 rising to nearly a quarter of the industry but IT Optimisation still remains a major investment. For the built environment the biggest change Datacentres has had for them is the increase in energy monitoring and the storage of millions of data bits. People in the world, particularly the US, UK and Germany are starting to become more conscious of energy efficiency therefore more business is generated for the Datacentre industry through big data from energy monitoring. Nicola pointed out that this is not done for a purely ‘green’ reason but primarily to monitor costs which are why most universities do not monitoring as they are not responsible for the financial side of their energy use. With there being such a focus on energy efficiency, the way Datacentres are being built has also been a changing trend with there being 25% increase in the number of retrofits of Datacentres while there was only a 2.1% increase in the number of new builds. Efficiency measures (to answer to the Press criticism) are also now determined from the outset. However despite Datacentre industry growing at a fast rate there are risks involved for the industry from the small scale of compliance to the large scale of terrorist attacks. With these risks comes an important debate that is happening within the industry, cost vs. risk. Nigel Ingram continued with a discussion about social housing and the consideration of end users when designing buildings. The Joseph Rowntree Housing Trust currently looks after 2,500 homes in Yorkshire and Hartlepool. Nigel discussed one particular project the Housing Trust are involved in, the Derwenthorpe village which looks at the lessons learnt from past projects and how they can improve their buildings. The way the Joseph Rowntree Housing Trust decided on best building practices was through experimentation over four years, they built two prototypes and used 17 different methods and as many M&E components as possible including grey water harvesting and block work systems. The aim of this experimentation was to see what worked to create the best possible building. As well as all these design considerations Nigel also enforced the importance of the end user and their lifestyles with the Joseph Rowntree Housing Trust looking at how people live in buildings and what changes in lifestyles are expected in the future and how best can the prepare buildings for that. There were three main points that made up the JRH’s strategic servicing infrastructure, the first being fibre optics. The Trust believes that with the use of technology ever increasing including internet, television packages etc. they needed to invest in a viable cabling network. However none of the big companies were prepared to discuss such a project therefore the Trust developed a joint venture with an investor to set up their own fibre optics for the estate, by doing so they satisfied the customers and set them up for any increase in connectivity in the future. The second point the Trust considered was Communal Heating, they looked at a variety of different heating techniques for the estate such as low ground source heat pumps. Communal Heating was decided on in 2007 from a carbon footprint point of view as at the time the Code of Sustainable Homes was announced with zero carbon targets by 2016. Communal Heating is notoriously difficult to get working efficiently, just like any heating system however after it was distilled down into the six components that worked for the Trust it was able to provide fuel security and prince control for the future residents which is what users wanted from their buildings. The system now works and is one of the only systems in the country that is successful and has been contracted for 25 yrs to a European Communal Heating group. However Nigel wanted to point out that the Derwenthorpe village has not been completely successful, the final point in their strategic servicing infrastructure was MVHR Systems. The project has not seen any success with these systems, it has been installed in 64 houses but customer feedback has been negative and there are many issues with it. As an alternative MEV is now being used. Nigel stresses that there is a market for MVHR systems but for it to work there needs to be massive improvements in the industry in terms of commissioning, installation and maintenance. There seems to be a technology focus rather than process and this needs to change if the industry is to satisfy clients and users of buildings. Nigel’s main focus for the Derwenthorpe project was customer satisfaction, the importance of the end user. Fibre Optics and Communal Heating was installed for the benefit of the residents of that estate as they have certain expectations of the way they live including operational and financial. The Joseph Rowntree Housing Trust has focused on the end user for their design plans rather than what should work from the industry perspective. Rigorous testing and accepting systems aren’t right has gone into making sure buildings are built as best as they can be which is important for our industry, it’s taking into consideration the mistakes made on previous building stock and learning from them and also considering the occupants and their needs. Jeremy Towler reflected on the “smart” built environment and how we get there. Jeremy highlighted that there is a lot happening and changing in our industry emphasising that we are the last industry to go digital despite there being several opportunities for digital work particularly wirelessly. BEMS will become an increasing component of buildings, modules will be built off site and therefore digital technology needs to be an important investment. Mobility will also become a more important part of the built environment, currently everyone uses a mobile but with geo-location buildings will be able to recognise everyone in buildings and respond dynamically. With this the collective voice of the occupants starts to influence the building which could be quite revolutionary. Building Analytics are also an important step towards a “smart” built environment, increasingly buildings have sophisticated software that permits building operation and how best to optimise them. With Building Analytics becoming a more common part of our industry there has been a move towards the Cloud which has allowed data mining to reveal relationships and trends we never could have imagined. With these advances also comes the development of Smart Cities, particularly in China where there is a commitment to build at least 30. Jeremy defines smart cities as an incorporation of intelligent buildings, broadband connectivity, innovation, digital inclusion and a knowledge workforce. But Jeremy states it’s not just smart cities we have to consider, its smart grids and smart buildings. Smart grids is an advanced power grid for the 21st century, essentially it is a decentralised multi directional model where energy and information can flow from supplier to consumer and vice versa which enables a variety of new applications for homes and businesses. Smart homes on the other hand have reached a critical mass and are due to break into the standard housing market but with this there has been an opportunity seized by the utilities who are now offering connectivity. With smart homes becomes the internet of things and the ‘ubiquitous homes’ where sophisticated systems learn behaviour and respond accordingly, like our mobile phones that can tell us where we want to go and how we need to get there, such software will be used in our own buildings to provide our homes with the settings that we need. However the current built environment is a long way from becoming a smart industry, currently more than 75% of the building stock has no intelligent controls which is primarily to do with the age of the buildings with over 40% of total stock being built before 1960. With this in mind there is an opportunity for the industry to consider a great deal of retrofit projects but for smart technology to work to its best potential for the built environment the industry needs new skills developed through training in software and hardware analysis. Michael Beaven continued on this theme of the industry needing to change but instead focused on workflows. Arup has learnt that change is beneficial to the industry, adaption is necessary to meet the needs of the client. Arup have changed what they do and how they do it, learning that doing things the same way over and over again is to no benefit. However despite the need to adapt there are constants within the industry, carbon being the main issue for energy costs and emissions for companies in reputational aspects as well as the bottom line an example being Sky who are very forward looking including reducing the carbon of their set top boxes from 10 to 4 watts saving 20megawatts to the grid. Importance of energy and efficiency is paramount but so is what we build it with. Embodied carbon is a key player in how we build our buildings now; decisions are being made on where products come from and their whole life cycle rather than primarily cost efficiency. Buildings are also being tested now, everything is monitored in our buildings so we can learn how to improve them, we are accountable for how buildings perform. From this we can learn how to design buildings that are successful for end users. Michael also emphasised Jeremy’s point of the internet of things, how the integration of IP controls are making building betters and even the advancement of BMW considering smart transport for smart cities. Building on the interaction between traffic signals and mobile data to develop relationships between them to better control traffic, even where you park will be managed in a smart way. Another important development in terms of smart technology is that people are now connecting and sharing information on what works for a building and how best practices can be established. One of Michael’s most important arguments was the importance of BIM and the matter that we as an industry really need to get up to speed with it. It’s client driven so we need to be on board as it is not only changing our workflows but also our business, without a grasp we lose projects. There also needs to be an acceptance that BIM is not just about 3D drawings and design but rather it should be a changing of our work streams to digital. Michael’s final point tied in one of the key themes of the morning, customer satisfaction or rather the importance of the end user. Arup are moving towards an end user focus, designing buildings for people rather than the client or the architect. He used Sky as an example of a company championing a place for people, designing a building that understands what the user wants rather than what is considered the best design. Michael emphasised the feedback loop, empowering people to vocalise what they want in a building, what controls work for them, with that Soft Landings is critical for discovering what works and what doesn’t and resolving these issues before a project is completed. There were a variety of thoughtful questions throughout the morning ranging from what the industry is doing to combat the UK’s power supply reducing to 2% by 2016, John Tebbit argued that the UK needs to stop investing in the UK and instead build industry abroad and import into the UK. There was also discussion on why there are so many installations problems within the industry, Nigel Ingram suggested there was too much blame placed on the end user, that there needs to be more ownership of mistakes and to learn from them if the industry is to move forward. This was the key theme throughout the morning, for the industry to move forward in any pursuit especially digitally we need to focus on trends and accept change as a good thing. But when accepting change we also need to learn from our past mistakes rather than continue to avoid them. Following lunch guests were treated to an afternoon speech from Sir Clive Woodward who continued the theme of change being necessary to move forward and how that worked for the England rugby team and the British Olympic team. Sir Clive’s talk looked at the 3F’s or 6F’s argument and interestingly the importance of an Australian dentist and his impact on working habits. He emphasised the effort of a whole team being behind any win and argued that talent is not enough but learning, calmness and hard work are needed to leverage it. A special mention also goes to Chris Monson, of main sponsor Trend, who was awarded an Honorary Membership of BSRIA, becoming only the 8th person honoured. Chris accepted the award from BSRIA Chairman Leslie Smith and thanked the company as well as the industry. A big thank you to all delegates that attended and the speakers who gave their time to the event. Also thanks to Sir Clive Woodward for being our afternoon speaker and rounding up a fantastic Briefing. To download the presentations from the event go to BSRIA’s website. In July we posted a blog about whether the lights will go out in the UK. This blog discussed the startling fact that the peak demand on our electricity supply network is perilously close to the supply capacity. With this comes the real risk that consumers will be exposed to outages “blackouts” and voltage dips “brownouts”. There is debate about whether this could happen, Datamonitor’s director of energy and utilities research and analysis, Neil Atkinson has commented that in practice the lights won’t go out in the UK or at least not for a long time, but that doesn’t mean we shouldn’t be worried or ignore the problem all together. He states that the Government hasn’t put sufficient contingency plans in place for the future of the UK’s supply and demand, that the Green Deal and the dwindling hopes of Nuclear power aren’t enough. The ECA are less optimistic than Datamonitor. Bill Wright, head of energy solutions, states that the intended increasing reliance on wind power assumes that the UK as a whole will not be affected by periods of cold weather at the same time as minimum wind. This is something that has to be considered though, for if the UK were to suffer a harsh or long winter like we saw in 2012/2013 then there is a real risk that we could end up facing lights out this year or during any winter that is out of the ordinary. There is also Ed Milliband’s pledge to freeze energy costs for customers to consider. Will this pledge speed up the process of blackouts and brownouts or it will have no impact at all? The government’s Fuel Poverty Report 2013 suggests there are already 4.8 million households in the UK that are already suffering with blackouts so Ed’s pledge won’t necessarily make any difference. But what if it does? What will happen if the lights do go out? hour so there are minimal risks but the longer the outage, the more opportunity for chaos to ensue. The loss of power could lead to an increase in crime due to diminished security options e.g. 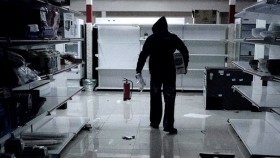 alarms and security cameras leading to shops being broken into and civil disorder (a dramatization of the potential damage can be seen in Channel 4’s The Blackout). The country’s communication and transport systems would soon break down and there is a high risk to the economy due to closed businesses and lack of trade. There are few benefits to a power outage; the only redeeming effects being an increase in self-reliance and a chance for the standby power industry to shine. If power outages have such an impact on society in general, then the risks to business are high as well, even more so due to the current lack of awareness in businesses. If they are unaware of the future problems, then they may well have made no contingency plan to keep their businesses running. Without a contingency plan, they face disruption to their work through either staff shortages (staff may be unable to get into work due to the breakdown of transport), or loss of process and equipment failure. If companies are dependent on computers or other technology, then they risk losing business or missing deadlines, resulting in damage to reputation and loss of profit. To help the UK prepare for the risk of future power outages, the workshop came up with some ideas for required systems and contingency plans that could help reduce the damage caused. Here are some of those. Firstly, education is key and more needs to be done to raise awareness. BSRIA is in a prime position to promote and facilitate this. Starting with the low-hanging fruit, buildings should make maximum use of natural light and ventilation to reduce base energy load. Critical areas or services need to be identified and ring-fenced to maximise the opportunity for them to run when other systems go down. There needs to be a way of controlling the amount of energy used in buildings and this is where energy services and building energy management systems could play a very important role. Incentives, such as variable tariffs from utilities, would encourage changes in consumer behaviour and more investment in smart technology. The debate over alternative fuels like shale gas needs to be had to assess its suitability and impact on the future of UK energy. Whilst standby generation may seem an easy option, and undoubtedly this will form part of the solution, it also needs to be highlighted that it cannot necessarily be relied on as a last-minute solution, for when the crunch comes, it will be in high demand and availability will plummet. they need most and make sure they are supported in the best possible ways. If blackouts are expected to become a regular part of our lives, then announcing them in advance will help companies to plan closures or change working hours. Companies also need to think about how their employees work; the fact is, we are highly dependent on technology like laptops and mobile phones. Without the means to recharge their batteries they quickly become redundant and we become unproductive, so companies need to think of alternative methods to keep their workforce useful – we may even have to resort to good old pen and paper! From the workshops, it was suggested that BSRIA can help raise awareness and provide education on the subject. This could take a range of forms, and conferences, publications and guidance for continuity planning were just some of the activities suggested. BSRIA can also work with other organisations towards these goals to help limit the risks for everyone. In the UK and some other countries the maximum demand on our supply network is perilously close to the supply capacity. In the UK we have a total supply capacity of 80 Gigawatts, and only around 67GW is available at any one time according to OFGEM director-general Alistair Buchanan. The maximum demand last winter was 60.5GW and the peak summer demand isn’t much less. It would only take a prolonged cold spell or a power station failure to drop the supply capacity below our maximum demand. What this means in practice to an individual customer is that there is an increased risk of outages or voltage dips. It has been predicted that this could be a one in twelve chance of losing power in a year for any customer by 2015 and an increasing risk until either the supply capacity is increased or demand is cut. In the UK we are closing our coal fired power stations, decommissioning our old nuclear stations and not building new capacity fast enough to replace them. Read more about this in The Spectator. Last week OFGEM published electricity supply and demand forecasts, showing that spare capacity has fallen as more gas-fired plants have been mothballed. It reiterated warnings that even if blackouts are avoided, power prices will rise steeply. 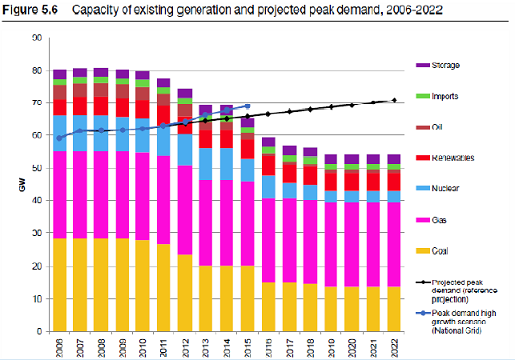 With the UK generation capacity margin likely to drop to 2% by 2015 the competition for supplies is likely to push prices up by 20%. Read more in The Telegraph. The profile of generation capacity over the next ten years is affected by political decisions such as closure of coal-fired power stations, extending the life of old nuclear stations, availability of imported gas, introduction of fracking for shale gas and planning permission for renewable energy. Businesses need to prepare for the increased risk to protect their business continuity. At a recent BSRIA workshop, business leaders talked about how they could respond to the risks and the knock-on effects of power outages. adapting to a less reliable power supply with standby power. But the effects of power outage on security of supplies, transport and even public order and crime need to be considered. The process of planning for outages and continuity of power is part of a more general process of Business Continuity Management, for which there is a British Standard Code of Practice, BS25999. This Standard covers all the threats to business continuity, but with the risk of power loss to a business and its supply chain and the effects of power loss on staff, customers and the public there may be a need to re-assess the risks and amend the business continuity plan. OFGEM are hosting a Working Group to develop solutions to network capacity problems using the Low Carbon Networks Fund. Their recent seminar presented the results of commercial and domestic demonstration projects. The domestic demand peaks at nearly double the daytime demand between 4pm and 8pm on weekdays. The early part of this peak coincides with the last hour of the working day so commercial demand is also high. Various approaches to demand management are being trialled in different areas of the UK including incentives and variable pricing. There are incentives for customers agreeing to cut their demand when local supply nears capacity. These are set up locally with different priorities, such as the Thames Valley Vision which utilises Automated Demand Response and Business Consumer Consortia along with energy storage to reduce peak demands and avoid the need for supply network reinforcement. In summary, the UK electricity supply network is expected to become less reliable and this will affect consumers as soon as 2015. If consumers don’t do something they are likely to be hit by power cuts more often. Solutions include planning for power failures, checking the reliability of standby systems, negotiating demand reduction facilities or permanently reducing demand. BSRIA is keen to work with building operators, manufacturers, network operators, consultants and anyone involved in power continuity management.